Beautiful skin enhances people’s lives. 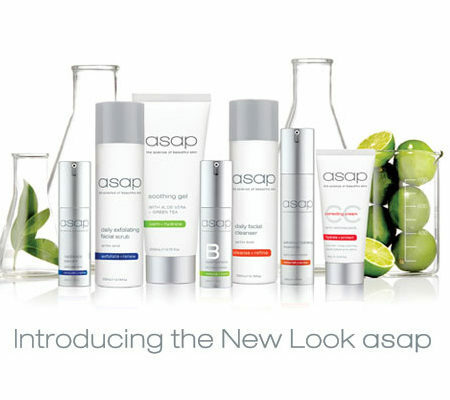 ASAP offer scientifically proven skin care solutions for women and men of varying skin types. Essential Vitamins and Antioxidants to create simple skin care that has fast-acting visible results. By encouraging cell renewal and providing protection from environmental damage, ASAP products help clear blocked pores stimulate production of new collagen and reduce the build-up of dead skin cells. Regular use of the ASAP range promotes the means to achieve and maintain beautiful healthy skin.